For years, Suzannah had a sign in her office that read “Because we’ve always done it that way” – with a line through it. That sign exemplifies her commitment to identifying new approaches to help clients meet their needs. Suzannah’s career path is not of the cookie cutter variety. 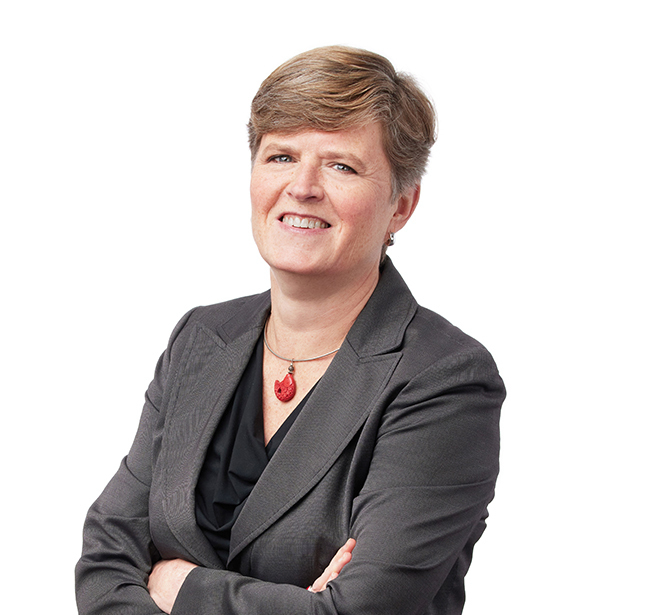 After becoming an accomplished trial attorney in the private sector, Suzannah joined the government setting, where she designed and implemented a plan for local government reform, litigated employment discrimination and constitutional claims, negotiated labor contracts, and advised city and county departments on policies and procedures. She then applied her substantive knowledge and analytical skills to the nonprofit health care arena, as Chief Operating Officer and General Counsel of one of the largest health care providers in Indiana, serving more than 50,000 patients. In this role Suzannah led a merger and ensured compliance with all regulatory requirements, drafted policies, negotiated contracts with outside entities, and provided legal advice on employee, regulatory, and corporate issues. At SmithAmundsen, Suzannah advises clients in licensing and regulatory matters, commercial and corporate transactions, contract negotiations and nonprofit corporate governance. When she isn’t in the office you can find Suzannah spending time with her family, exercising or cooking. As COO and general counsel of a non-profit women’s health care provider, negotiated and led merger with provider in a neighboring state. Oversaw licensing of new facilities as well as ongoing compliance obligations of existing facilities. Led reaccreditation efforts, resulting in reaccreditation with a national health care organization. As Indianapolis Works Transition Director for the City of Indianapolis, led consolidation of governmental services. Designed and implemented plan for local government reform, including merger of police department and law enforcement division of sheriff’s department, as well as consolidation of township fire departments into city fire department. Negotiated framework of the consolidation with local and state elected officials. Successfully defended police department against claim for injunction regarding fourth amendment search and seizure case in federal district court and on appeal to seventh circuit. Prevailed in numerous employment discrimination and constitutional actions in state and federal court on behalf of state. What’s So Special About Mental Health Records? To Disclose or Not to Disclose - That is the Question!